UNDER CONSTRUCTION - 4 BD / 2 BA NEW CONSTRUCTION HOME - Built by Award Winning Builder, Strata Builders. 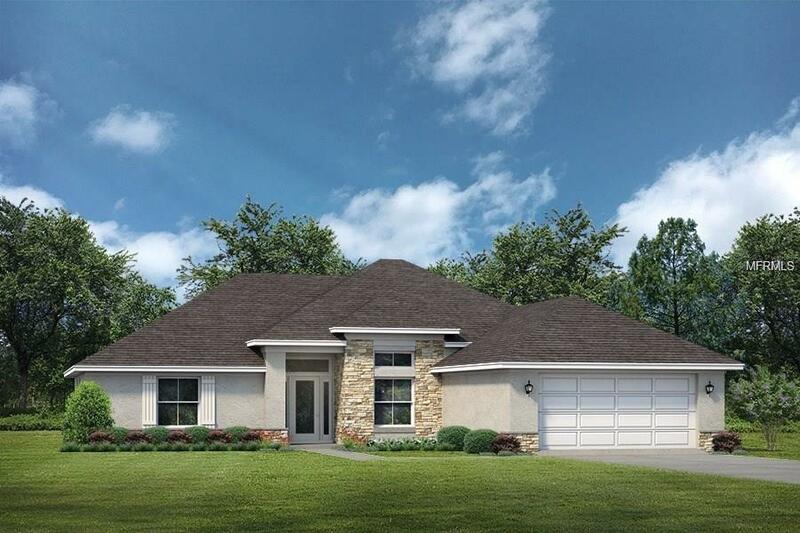 The Willow features a front elevation complete with Stone and a custom front door. An attached, two car garage will provide extra space for storage and parking. Inside, the open floor plan utilizes its' square feet to provide plenty of room for entertaining family and guests. The master suite features a dual vanity, garden tub with separate shower stall and a large walk in closet. Bedrooms 1,2 & 3 are located opposite of the master suite with easy access to the guest bathroom. GE stainless steel appliances, solid wood cabinetry with soft close finishing, an oversized island with pendant lighting, & granite counter tops complete the kitchen overlooking the living room. Other interior features included are large baseboards, upgraded interior door & window casings, brushed nickel faucets, fan/light packages throughout, faux wood blinds & insulated vinyl windows. An open lanai is located off of the great room. Lifetime Warranty Architectural shingles will cover the roof and the attached two car garage features a Belt Drive garage door opener. Listing provided courtesy of Strata Realty Group, Llc.